Ballerina pumps by GABOR COMFORT: chic and comfortable oiled calf nubuck leather with a decorative knot detail and elasticated textile edge. With “Easy Walking system” for perfect shock absorption. 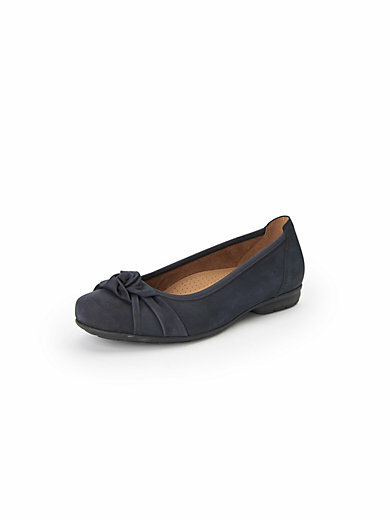 Softly padded kidskin leather insole and microsuede lining with leather. Latex sole. Heel height approx. 1in. Comfort width “G”.